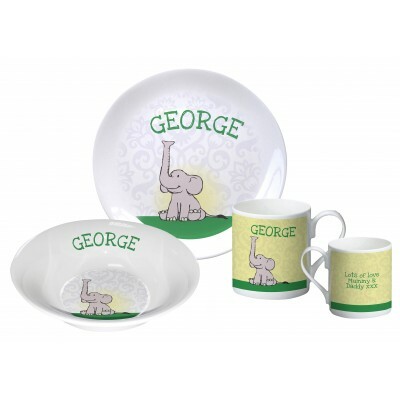 The set consists of a 8" Bone China Coupe Plate, a 5" Oatmeal Bowl and a bone china mug. The whole of the breakfast set is personalised with the recipient's name, and on the mug you can also add a message over 4 lines from you. Show him how special he is with a gift that can be cherished fondly long after it's been outgrown.